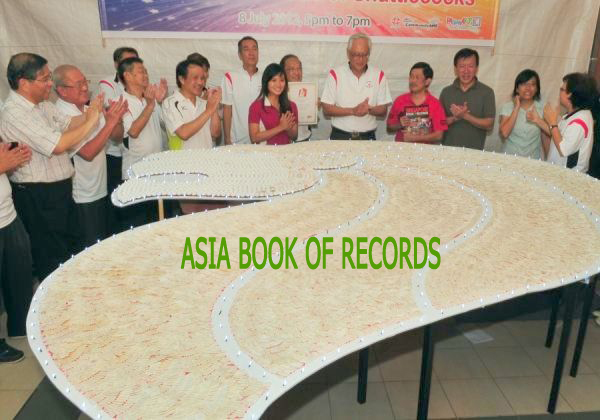 Fuqiang Zhao, president of Dandong Badminton Association, China, has made a shuttlecock mosaic, measuring 30.375 m², on August 2, 2009. The mosaic, which consisted of a total of 5,236 shuttlecocks, depicted the words: ‘Show the love with shuttlecocks, be together forever’. Comments for LARGEST SHUTTLECOCK MOSAIC are now closed.